The Day of Pentecost, or Whit Sunday. Readings: Acts 2: 1-21; Psalm 104: 26-36, 37b; Romans 8: 22-27; John 15: 26-27, 16: 4b-15. 11.30 a.m., The Parish Eucharist, Saint Brendan’s Church, Kilnaughtin (Tarbert), Co Kerry. I have just had a fresh experience, culturally and linguistically, over the past few days. I have been to France before, visiting Paris at least half a dozen times. But last week, for the first time ever, I spent a few days in the south of France, thanks to the welcome and the hospitality of a friend who moved there from Dublin many years ago. I have known what to expect in Paris. But I went without any expectations of what to see, taste or experience in the south of France. We visited old castles and cathedrals, vineyards and galleries, walked by river banks and marinas, and spent some time strolling around the harbour, beaches and castle at Collioure, with its pastel-coloured houses and streets, which provided so much inspiration for artists a century ago, including André Derain, Henri Matisse and Pablo Picasso. 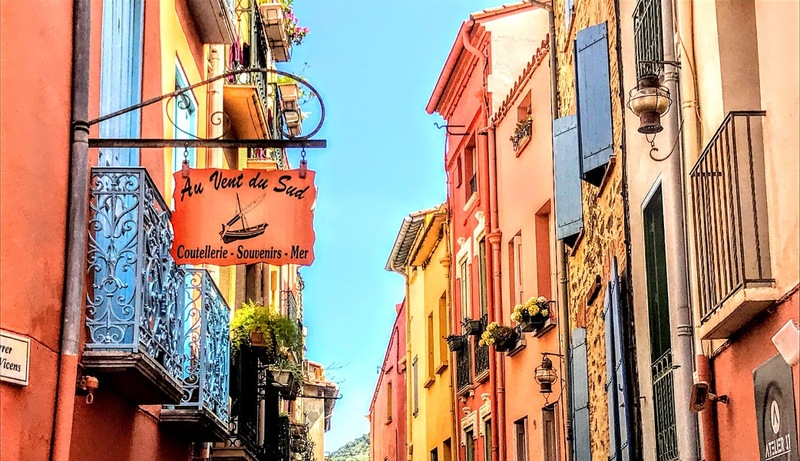 First impressions can never be repeated, but my first impressions of the South of France include the clear translucent light that must have inspired artists like Matisse and Picasso, and the very clear fact that I was in a bilingual part of France. Everywhere signs are in both French and Catalan – road signs, place names, directions, menus, advertising, notices at historical sites such as castles and cathedrals. 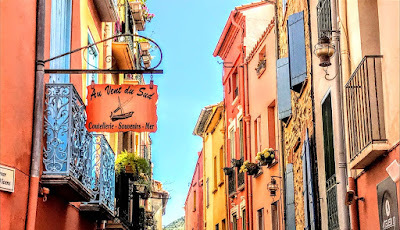 French is not one of my languages, but in Perpignan, Collioure and throughout Roussillon I was bilingual in my linguistic short-fallings, able to understand many of the signs and the questions in shops and in restaurants, but unable to respond in either French or Catalan. Of course, I enjoy languages, and can find myself sitting back and enjoying listening to other people in conversation. 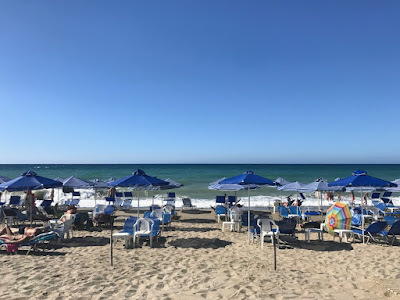 But so often, by the time I have translated what I want to say and try to utter those translated thoughts, the conversation has moved on quite naturally to another subject or topic. I am a slow learner when it comes to languages, but it still does not take away from the pleasure and enjoyment I get from being immersed in another language. Learning another language can open our eyes to fresh insights and new aspects of the world around us. 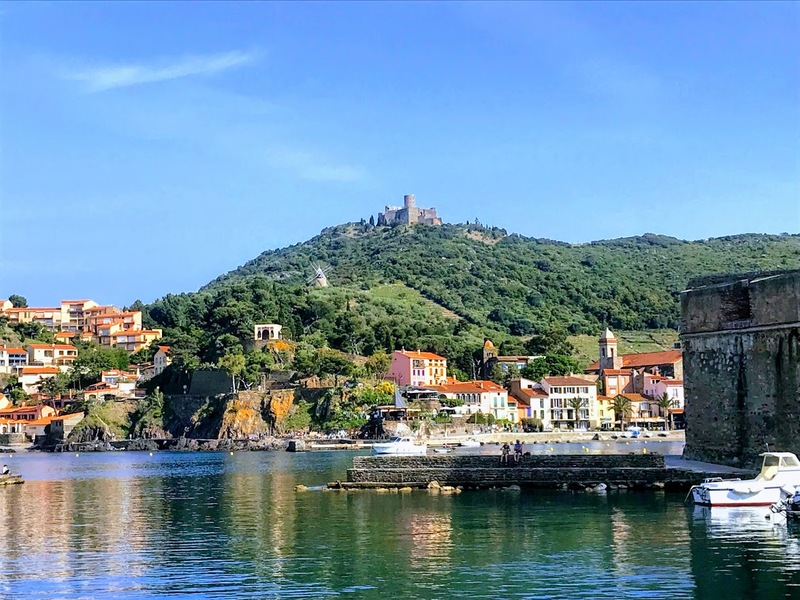 Sometimes, it can be like the experiences of those artists a century ago in Collioure, seeing everything in a new light, and finding that experience is like an awakening by the Holy Spirit. 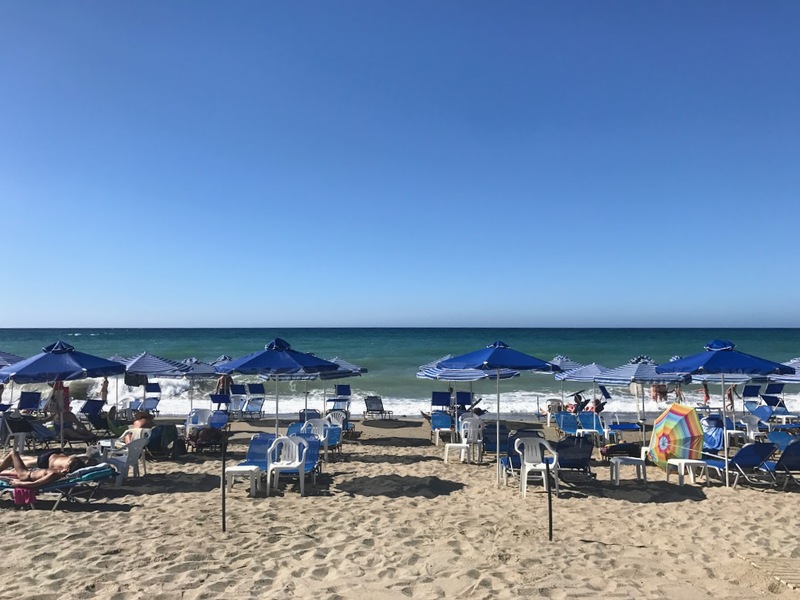 French has at least two words for the colour blue, bleu and azure, while Greek has at least four: κυάνεος (kyáneos) or dark blue, which became cyan in English; γλαυκός (glafkós) for light blue; θαλασσί (thalassí) for ocean or sea blue; and μπλε (ble), which is a loan word from French. Ever since I learned to distinguish those words in Greek, my eyes have come to see not just four hues of blue, but four different colours of blue. We use the words please, thanks and pleasure differently in different languages. The languages we speak can shape the way we think, and they can offer bright new aspects of and insights into life. This is true too in theology and how we express our faith, our values, our beliefs. In the New Testament, Saint Paul uses four different words for love. Quite often, the divisions and theological quarrels in the Early Church were not about essential beliefs, but about problems in translation. They argued about words that seemed to distinguish between God the Father, God the Son and God the Holy Spirit being of the same or similar substance or nature, and so on. Today, too often, we base theological assertions that are founded on Biblical sayings, not on the words and phrases themselves in their original Biblical Hebrew or Greek, but on a translation that has been produced by a committee. And accepting that translation puts a lot of trust – too much trust – in the translators. There is a saying in many languages that the translator is a traitor. The Italian phrase is Traduttore, traditore. When we try to translate any text, whether it is the Bible or any other book, we already display our own presumptions and even prejudices by the words we give preference to. Anyone who has tried knows how difficult it is to translate poetry, and how it is impossible to translate a joke. Languages are a gift from God that offer us new insights into creation, into the world, into other people. The story of Babel (Genesis 11: 1-11) tells us that languages divided us in the world, set us apart from each other, were an expression of disunity and conflict in humanity. But that was then, and Pentecost is now. Pentecost is the undoing of Babel. Now we can appreciation that each culture, each society, each people, each individual, can have a fresh insight into God, through the Holy Spirit, who leads us through the love God the Son, to the majesty of God the Father. Instead of languages being a barrier, the disciples find in our first New Testament reading this morning (Acts 2: 1-21) that the good news is not reserved to one linguistic group or culture, but can have fresh meaning for Parthians, Medes, Elamites, and residents of Mesopotamia, Judea and Cappadocia, Pontus and Asia, Phrygia and Pamphylia, Egypt and parts of Libya, visitors from Rome, Cretans and Arabs – each in their own languages. And that is equally true of every other culture, people, nation, generation and society. The very people who were once counted out as ethnic or linguistic minorities, the religious curiosities and the perceived oddities, those who dress, and appear, and sound and look different, whose foods and perfume and bodily odours are marked by variety, are told today, on the Day of Pentecost, that you are counted in as God’s own people. Pentecost is the undoing of Babel. The barriers we built in the past, the walls we use to separate ourselves from each other, particularly in our use of language to exclude rather than include, are torn apart by the Holy Spirit who rushes in and breaks down all the walls that separate us from those we think are different because of how they sound, look and smell. Pentecost celebrates the over-abundant generosity of God. This generosity is beyond measure, to the point that it challenges us, surprises us, startles us. So often we want to box-in, contain or marginalise the Holy Spirit by our use of language. And, indeed, there are more languages than our verbal, spoken and written languages. We have different body languages: how we look at each other, how we shrug our shoulders, how we point and gesture, are all as unique as spoken languages, but much more difficult to translate, and help to keep those we see as the outsider on the margins. We have different liturgical languages. We are very good as Anglicans – and I saw it at General Synod in Armagh less than two weeks ago – of counting people ‘in’ or ‘out’ because we are too evangelical or too Anglo-Catholic, too low or too high, too liberal or too conservative, and so on. We still use language like that to paint people into corners that are often not of their own making. This morning’s account of the first Day of Pentecost is a sharp reminder that Pentecost is for all. The Holy Spirit is not an exclusive gift for the 12, for the inner circle, for the believers, or even for the Church. The promises that God will pour out his Spirit on all (verse 17) is a promise for all without regard to gender, age or social background (verses 17-21), is a promise of God’s salvation is for everyone (verse 21). The gift of the Holy Spirit does not stop being effective the day after this Day of Pentecost. 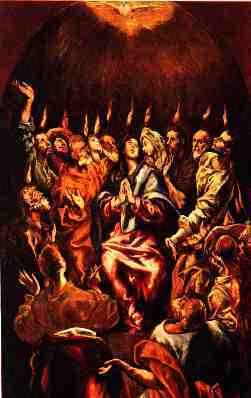 Pentecost includes all – even those we do not hear or understand. It is just simply that I have not yet learned to hear or understand them. But the gift of the Holy Spirit encourages me to hear them with a new sound and to see them in a new light. And so, may all we think, say and do, be to the praise, honour and glory of God, + Father, Son and Holy Spirit. Amen.